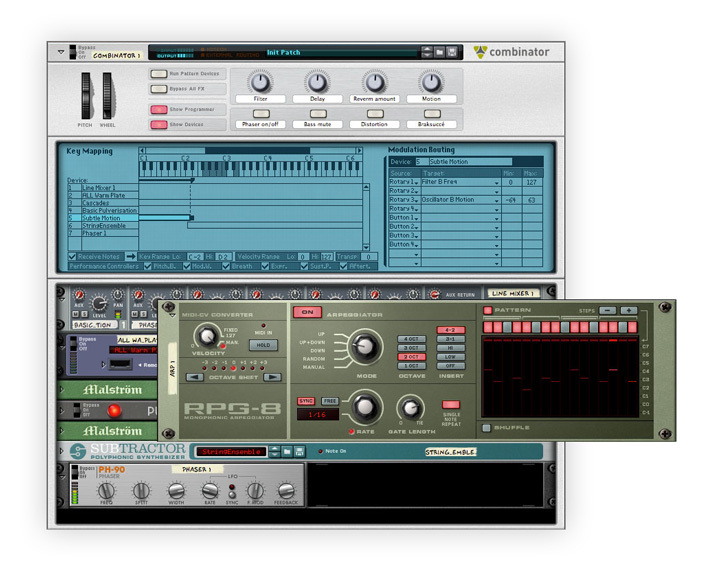 Instruments Realize your musical ideas with Reason’s arsenal of instruments. Add, play, tweak, combine and mix as many of each as you can possibly want. Semi-modular instrument with God-like synthesis power. Build your sounds from 50 years of collected synth history. Warm, straightforward and easy to use. Subtractor is most Reason users go-to synthesizer. For many, beats isn’t just a part of their music. The beat is the music! And Reason has the machines to build the beat you want. Reason’s drum machine. If you like the classic pattern based machines from the 80s, then this one is for you. 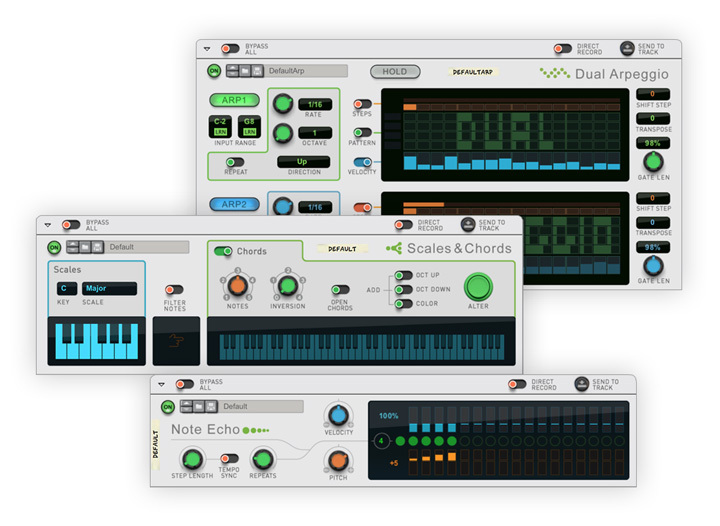 The Player devices adds scale-awareness, chord memory, arpeggios and more to the other Reason instruments. Try them out for instant inspiration. Use it to stay always in key, or use its one-finger chords to explore rich harmonic options that you might not have thought about. Create flowing arpeggio lines with these two powerful polyphonic, pattern based arpeggiators. This unit can create interesting effects with pitch and time: Strumming, glissandos, chord stabs and much more. 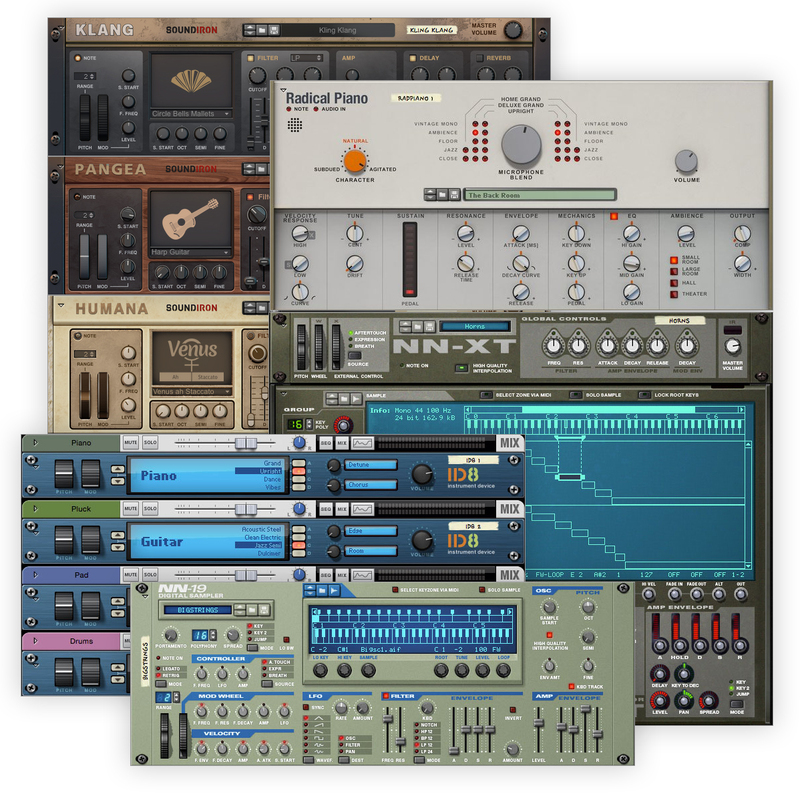 Sample your own sounds or tap into Reason's huge huge collection of sampled instruments in every conceivable category. The premise is simple. The results are stunning. We’ll give you three basic pianos paired with the technology to make an infinite number of your own. Want even more instruments? With the Rack Extension technology the Reason rack opens up to third party developers too. 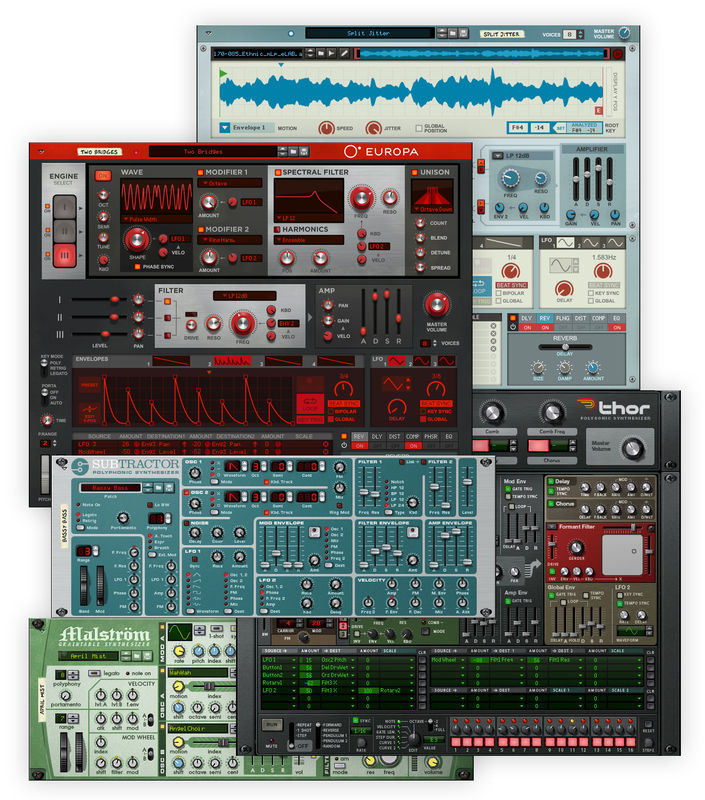 Propellerhead and leading third party developers offers a great selection of instruments as add-ons to your Reason rack. Have a look in the Propellerhead Shop to see what's on display. 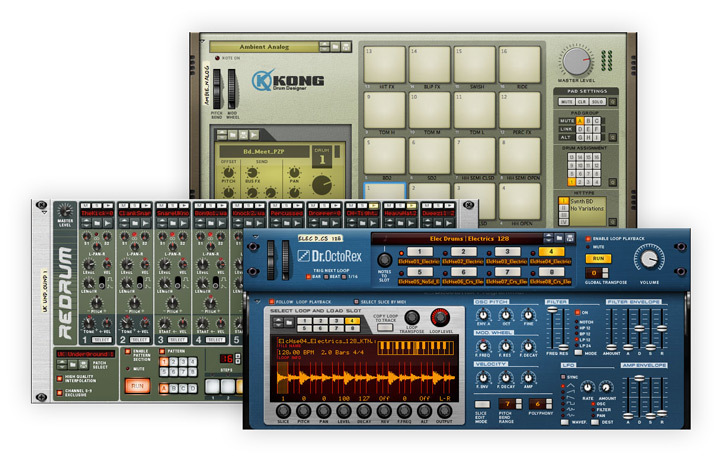 Add-on instruments and effects from Propellerhead and third party developers. Include your MIDI synths in your music making. Reason’s External MIDI Instrument will play all your MIDI synths, beatboxes and whatnot from Reason's sequencer and control your external MIDI gear with the full automation that Reason users have come to expect. Bringing your MIDI equipment to your Reason tracks. Reason’s rack is an extremely flexible environment to create just the sound your music needs. Here are more ways to combine and evolve sounds. Combine, layer and mix instruments and effects to create rich, production-ready and performance-friendly sounds that can be loaded up in an instant.